Navid Monjazeb received $55,926 from insurance companies. 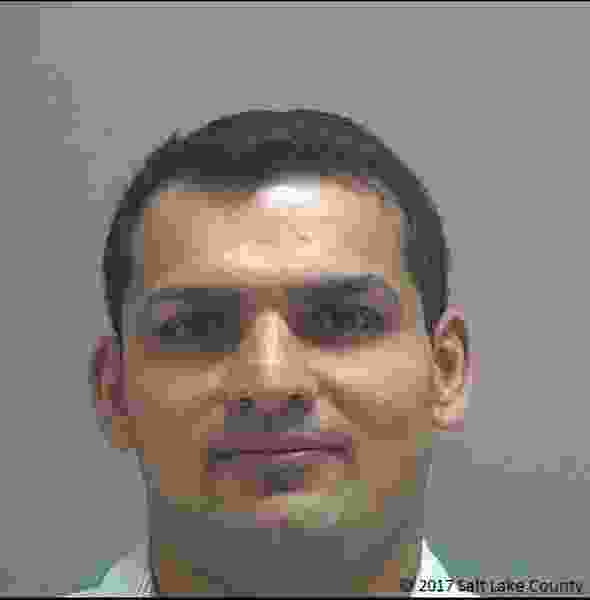 West Jordan • A Utah man received a 120-day jail sentence Tuesday for purposefully causing 22 car crashes in a five-year period to collect insurance money. Navid Monjazeb, 37, appeared to be opposed to the sentence. His attorney, Katherine Conyers, advocated for the judge to follow a presentence investigation report recommending six days in jail with credit for time served. Monjazeb contended that he wasn’t 100 percent at fault for all the accidents. “Frankly, I was considering sending you to prison for this,” Kendall said. According to court documents, Monjazeb accelerated into cars changing into his lane of travel. He would strike the victims’ rear quarter panel with the corner of his front bumper, causing minor damage. Monjazeb would then aggressively assert that the victims were at fault and demand cash, according to court records. He would also present victims with a prepared waiver for them to sign, claiming responsibility for the crash. In five years of running the scheme, Monjazeb received $55,926 from insurance companies. The payouts ranged from $1,200 to $4,500, according to court records. All of the crashes occurred in the Salt Lake Valley area between Jan. 5, 2010, and Jan. 1, 2016 . Monjazeb used an Audi A4, a Saab 9-3 and a Toyota Prius, according to court records. Photos of damage to his cars frequently exceeded damage victims recalled after the accidents, and investigations found the damage for many crashes to be duplicative and that Monjazeb was requesting multiple payouts for the same damage. Victims would usually pay for their own repairs out-of-pocket due to insignificant amounts of damage, court records state, while Monjazeb would produce estimates for thousands of dollars in damage done to his cars. Court records say Monjazeb forged repair documents between crashes to make it seem like his car had been repaired. Kendall told Monjazeb that it didn’t appear he fully appreciated the recklessness of his behavior. “People’s lives were at risk,” Kendall said, adding that one of the drivers Monjazeb hit was someone using a learner’s permit while practicing driving with the motorist’s mother. “They are paranoid and scared when they drive now,” Kendall said of the victims in general. While Kendall said the victims will likely endure a lasting impact, Conyers said the same was true for her client. Media coverage of the crimes has adversely impacted Monjazeb’s relationships with friends and family, she said. Monjazeb is a refugee, who has been unable to visit his mother in Iran due to fear that he wouldn’t be let back in the country, Conyers said. She also pointed to the presentence report, which showed Monjazeb is a student at Salt Lake Community College and has strong social ties through a soccer team and hardly any criminal history. He has struggled to sleep for the past two years while the criminal case was ongoing, she said. Conyers also clarified that when Monjazeb said he didn’t think it was fair for him to take the fall for the actions of all involved, what he meant was that some victims had claimed responsibility for the crashes, and she had been prepared to take some of the counts to trial. Kendall balked at the recommendation and instead imposed 360 days, suspending all but 120. Monjazeb will not get credit for time already served and also must complete three years of probation. He was ordered to pay $65,000 in restitution, $9,000 of which he has already paid. “Six days is not even close to what is appropriate in this case,” Kendall said.